How do I buy a CareBuilders at Home Franchise? A Business You Can Count on Today and Tomorrow. If you are ready to help seniors and their families and want to reap the rewards of a growing industry, explore owning a CareBuilders at Home franchise - the only franchise which provides complete back office support. Read on and consider opening a senior care franchise. 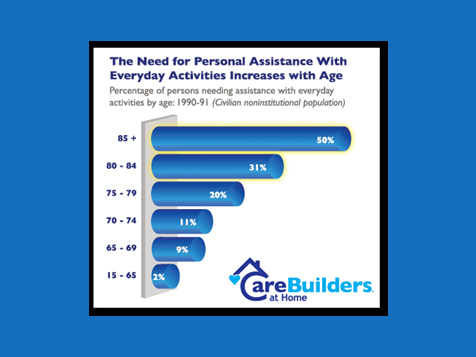 CareBuilders at Home provides back office support which reduces the time spent on administrative tasks and allows you to spend time growing your business for the ever expanding senior market. 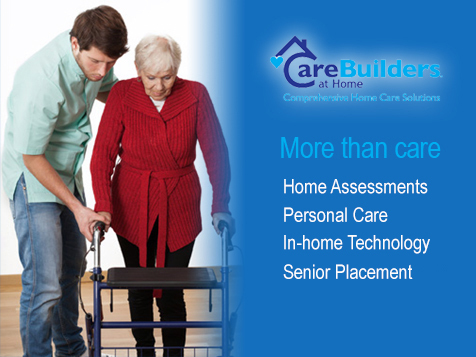 CareBuilders at Home is an “all-inclusive” in home health care franchise which provides home assessments, personal care, non-medical home care, In-home technology, and transition planning services. Open CareBuilders at Home in any of these available states: AK, AL, AR, AZ, CA, CO, CT, DC, DE, FL, GA, IA, ID, IL, IN, KS, KY, LA, MA, MD, ME, MI, MN, MO, MS, MT, NC, ND, NE, NH, NJ, NM, NV, NY, OH, OK, OR, PA, RI, SC, SD, TN, TX, UT, VA, VT, WA, WI, WV, WY. The Only Senior Care Franchise Which Provides Back Office Support. Are you looking for an opportunity that will provide you income even in economic down turns? One that provides you with everything you need to open a successful business, is a low investment and high return on your investment? Private home care industry is currently one of the fastest growing sectors of the U.S. economy and will continue its rapid growth over the next several decades as our elderly population continues to climb. Are you ready to help seniors and their families and want to reap the rewards of a growing industry? Complete the form below today. Discounts Available on the purchase of Multiple Franchise Licenses; Financing Available on the purchase of Franchise Licenses. CareBuilders at Home is not currently active in our directory, but here are some other recommended selections for you to explore.